When exploring a city, I like to take to the streets like a local. Sure, a fancy hotel stay is a much-needed rejuvenating treat but I had under 24 hours to backpack around Guwahati, the capital city of Assam (North East India) and ofcourse it involved a major eatathon! Hubby and I got dropped off in the heart of Guwahati city a little past 3 pm, and this was far too late for finding a decent lunch spread. Walking about in the midday heat, we were intrigued by a cheerful signpost offering Asian-style street food at throwaway prices. The Gold Finch is an absolutely tiny, narrow little space. Now you see it, now you don’t. The interiors have been done up with cheap and cheery Asian souvenirs including a cliche Japanese hand fan, bright red Chinese good-luck charms and a foggy, ‘needs to be cleaned’ fish tank. A lady clad in casually floral Kurta Salwar sat in one dingy corner, counting her loot for the day and peered at us inquisitively. We ordered a bowl of Thukpa each. 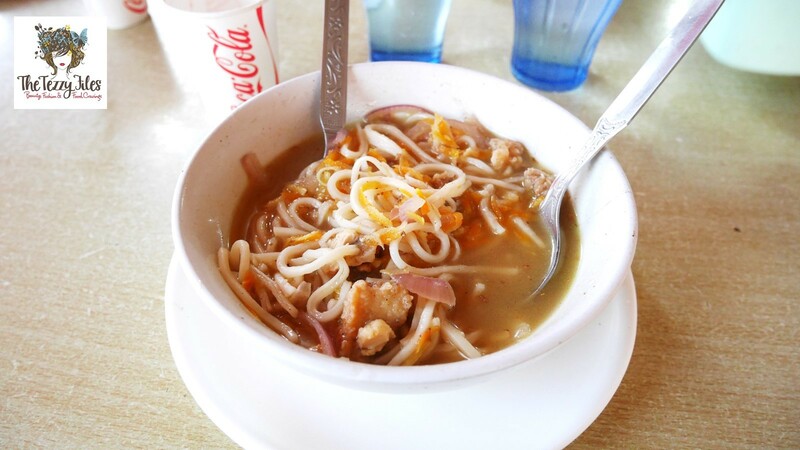 Thukpa is a noodle soup with Tibetan origins. The soup is almost clear, yet it has a very strong hit of ginger and chicken. Despite the hot and muggy Guwahati weather, we cleared our bowls in no time. The 3 hour drive down from Shillong had us rather hungry, and this noodle soup tasted absolutely delicious. 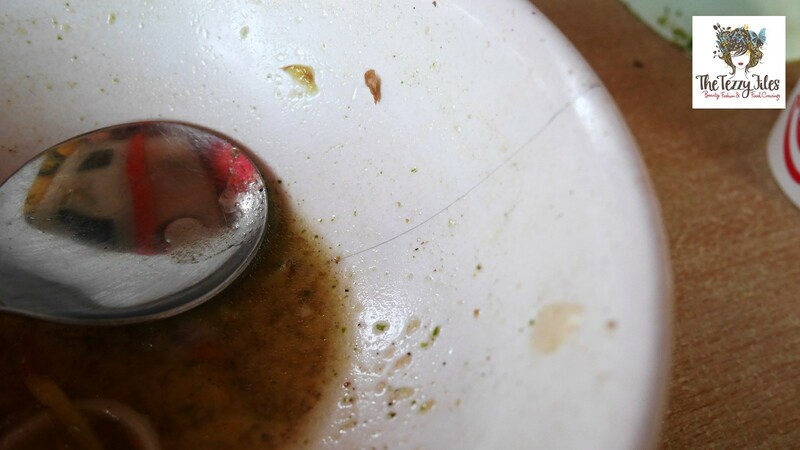 I was however rather disappointed to find I got served in a cracked bowl, but what can one expect when paying a mere Rs. 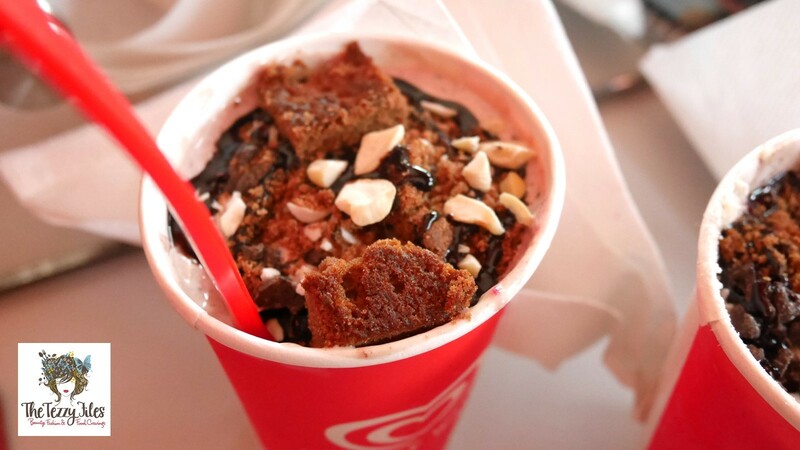 80 plus a mini cup of Coke (AED 4.50)? 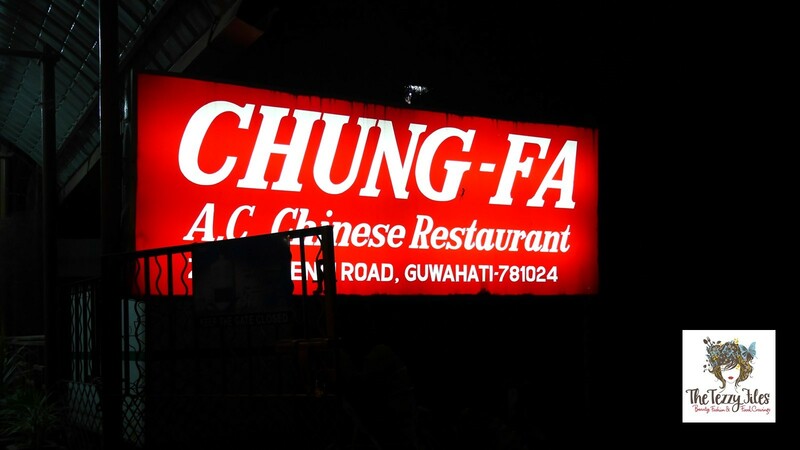 Based in the Noonmati area of Guwahati, Chung Fa seems to have a huge fan base for their Indo-Chinese offerings. Many of our friends recommended this joint to us, and I have to say this was the tastiest Chinese meal I had in my entire trip to India this summer. The interiors are clean and spacious, and done up to look very Asian with its red hues, Chinese artwork and deep brown wooden furnishings. The table mats have the Chinese calendar printed on it, which I think is a very clever idea as it keeps diners entertained while waiting on their orders. 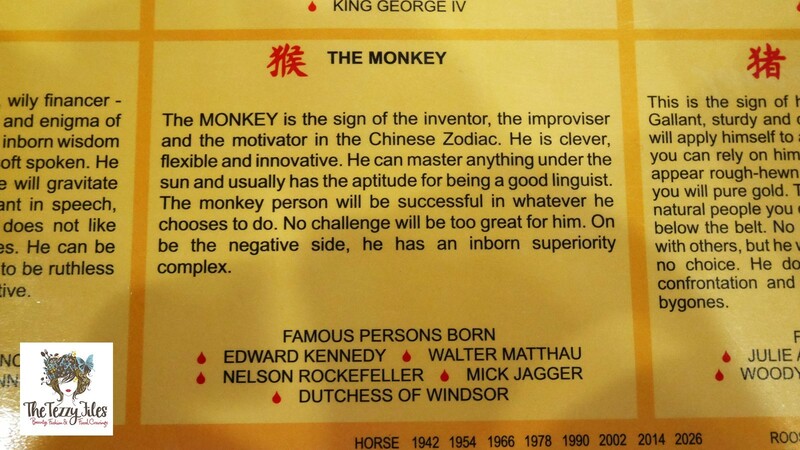 Did you know that 2016 is the Year of the Monkey? 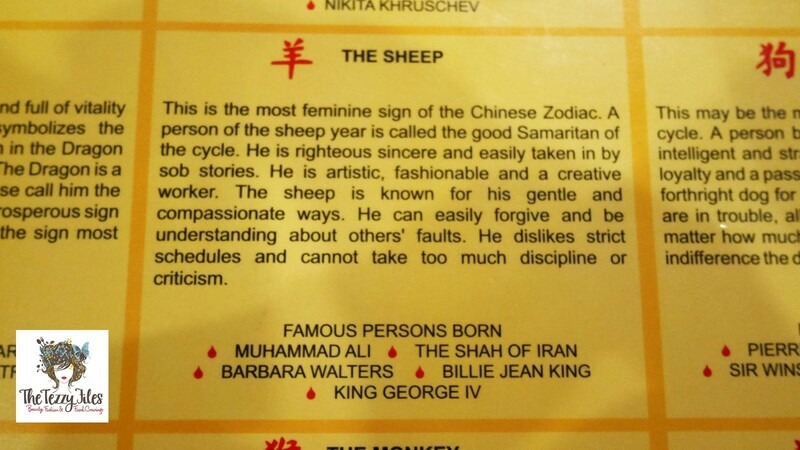 I am born under the Year of the Sheep (just like Muhammad Ali!). We ordered Chicken Hakka Noodles and Chili Chicken (a pretty standard ‘Indo-Chinese’ request), and were mighty impressed with the flavour combinations. 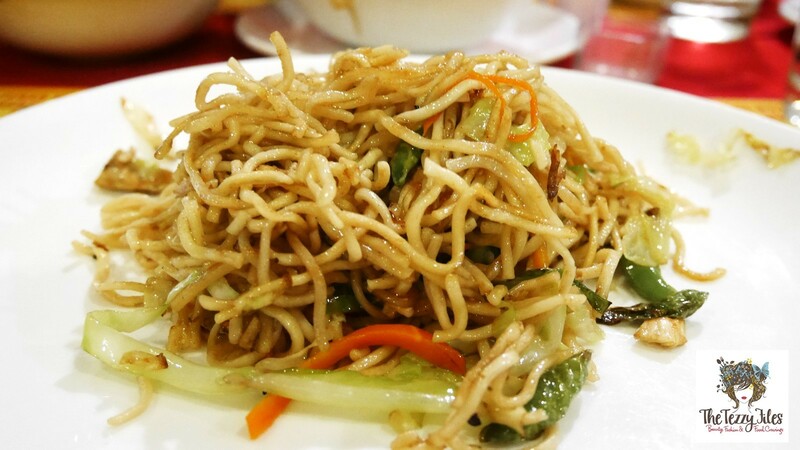 The noodles took on a pale, glazed caramel-brown colour owing to the soya sauce, yet the soya flavour managed to be subdued with the tantalizing mix of chili, garlic and ginger. For once, I have to say I enjoyed the noodles even more than the Chili Chicken. The Chili Chicken featured boneless bits of well-marinated chicken in a semi-dry spicy-hot gravy, and went deliciously well with the noodles. 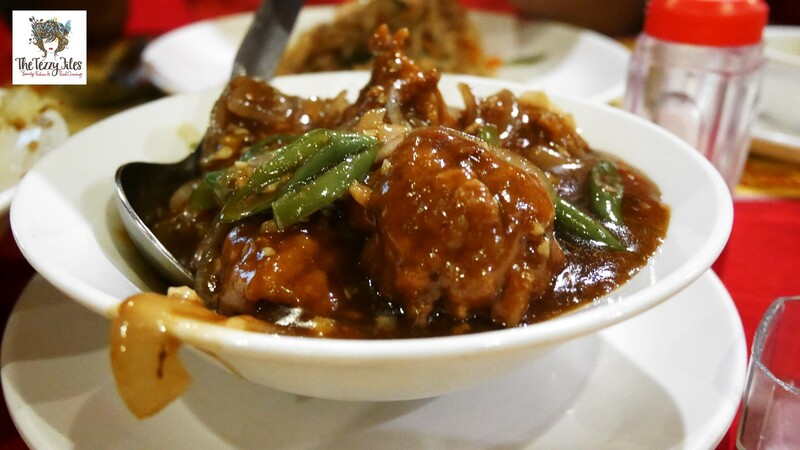 Chung Fa has to be the best Indo-Chinese I ate during my entire trip to India this summer! The only funny bit was how the signboard outside proudly declared it to be an air-conditioned restaurant, yet it was rather warm inside and we had to ask the staff to turn the very new, unused-looking A/C on! 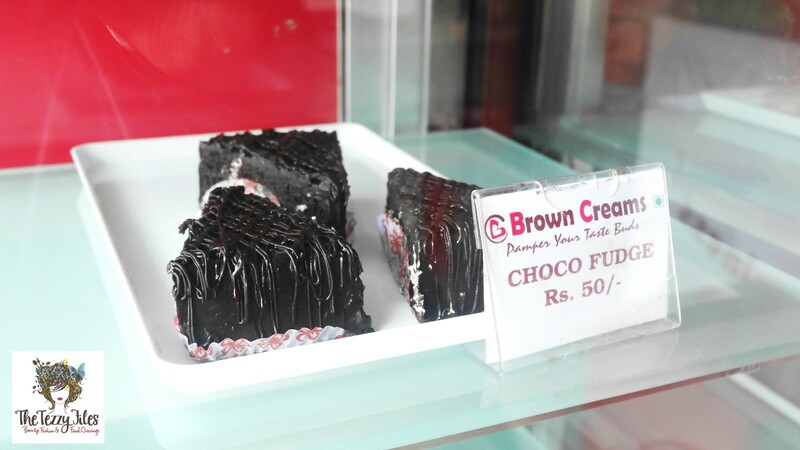 Strategically located near in the hub of educational faculties, this Mumbai-import bakery is about all things sweet and sinful. 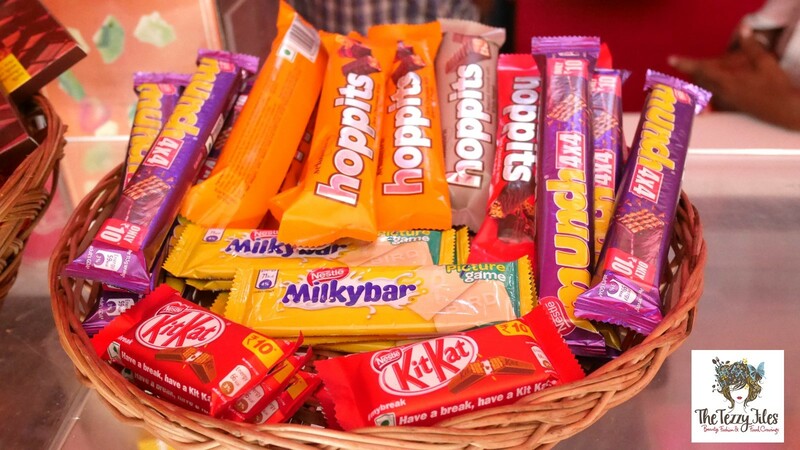 A basket full of chocolates, a few familiar yet most proudly made in India. These decadent-looking pastries are a mere Rs. 50 each (that’s AED 3). Given the heat and humidity of the city, Hubby and I sat down to indulge in the bakery’s largest servings of chocaholic sundaes. They may look average-sized, but finishing one is a real struggle. Hubby’s Chocolate Thunder, loaded with mixed nuts, brownies, chocolate ice-cream and drizzles of chocolate sauce, was a clear winner. My Berry Chocolate (I can’t quite recall the exact name), looked chocaholic, but it had a sour yogurt aftertaste that just didn’t work for me. Should have had a pastry instead! Although seating space is limited, this joint is frequented daily by flocks of young college-going girls and boys. 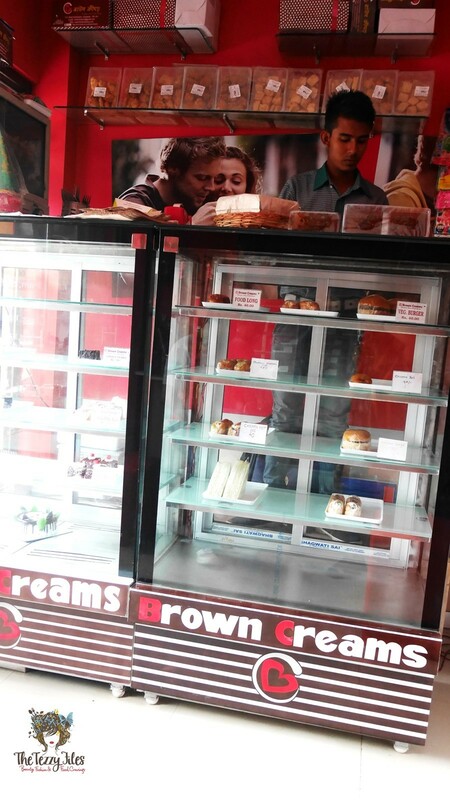 The goodies may be a bit too hefty on their pocket-money incomes given you can get an entire meal at a local street stall outside for the price of a pastry, yet being here is obviously uber-cool. 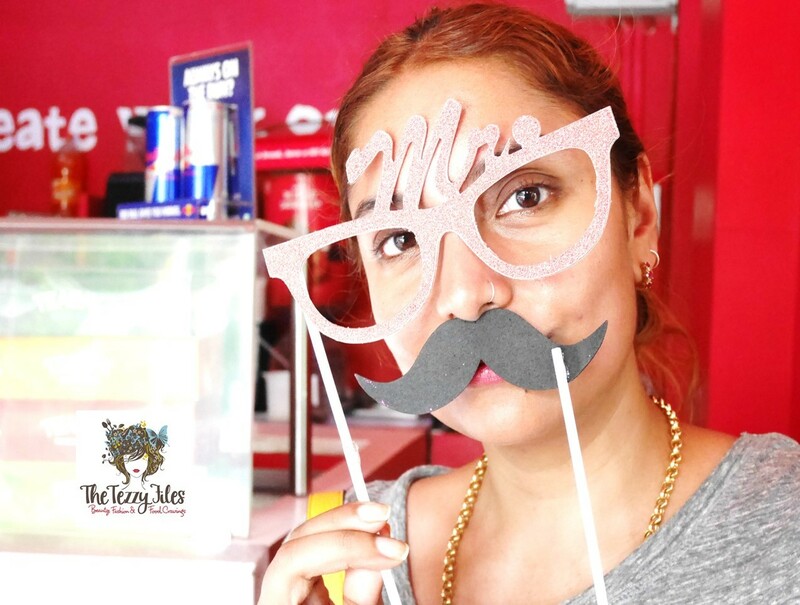 They even have props for clowning around with! 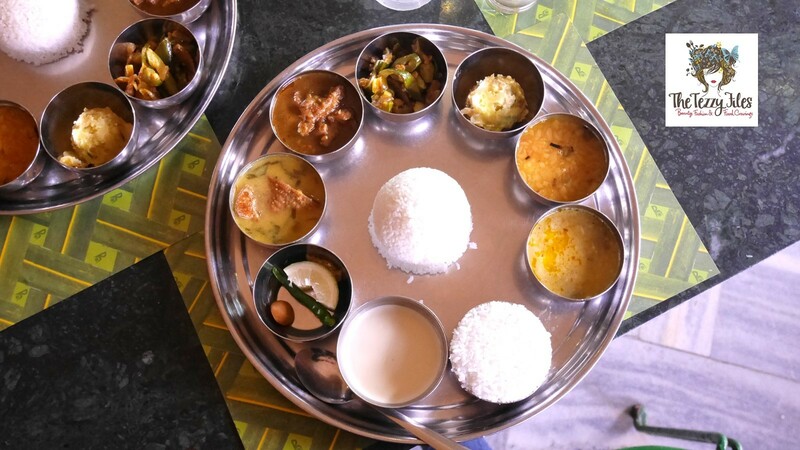 I was yearning for some authentically Assamese food, and everyone we asked suggested we try out the lunch thali at Paradise. Loving the Assamese-themed painting in the backdrop. It features a number of traditional Assamese village scenes, beautifully painted in bright, cheerful hues. Featuring an array of dishes best known among my Assamese compatriots, we were treated to an absolute feast for a mere Rs. 230 (AED 12.50) per person. 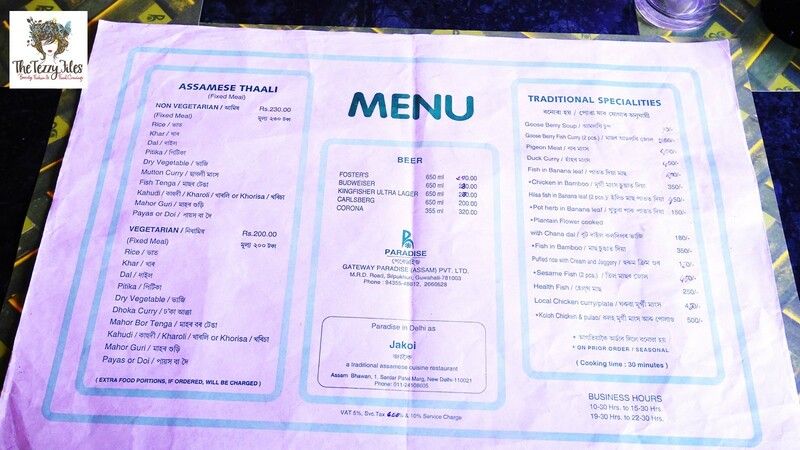 You can choose to go for the vegetarian or non-veg thali, and ofcourse we went for the later. My thali platter included Khar (a signature broth of Assam, made with a variety of vegetable combinations), Gusor Bhuna (a semi-dry, spicy Assamese mutton curry), Masor Tenga (a traditional Assamese fish curry with a light, flavorfully sour tomato base), and Potol Bhaji (a stir-fry of an Assamese favorite, Potol resembles a mini gourd but has a moreishly delicious taste of its own). We had all this with steaming hot bowls of white rice, lemony daal and Assamese pickles. 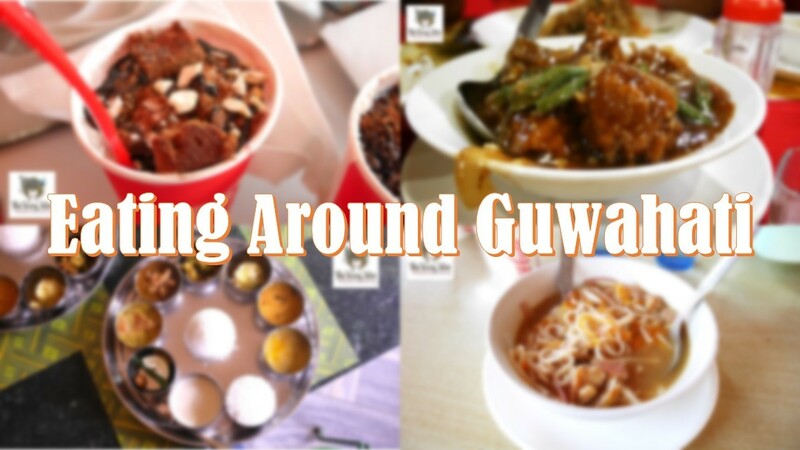 If you are Assamese, or have a taste for the simple yet soulfully good cuisine of this North Eastern Indian state, you will surely be drooling by now. 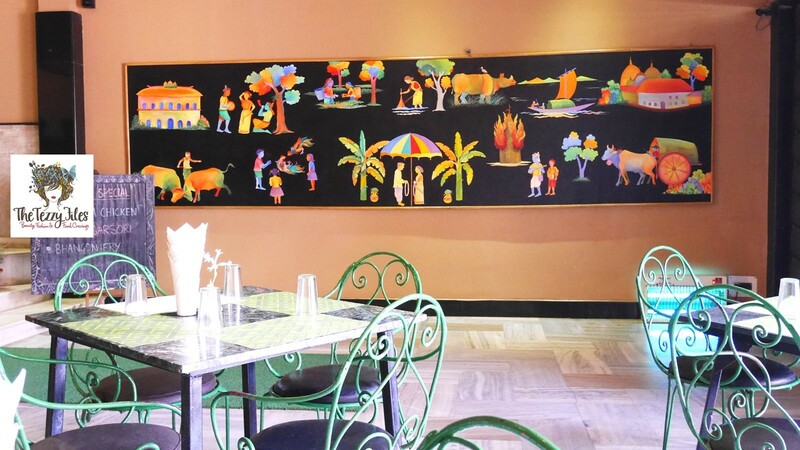 Paradise serves up deliciously home-style Assamese grub, and has a whole list of treats that are not easily found elsewhere. Wish they’d open a branch here in Dubai! 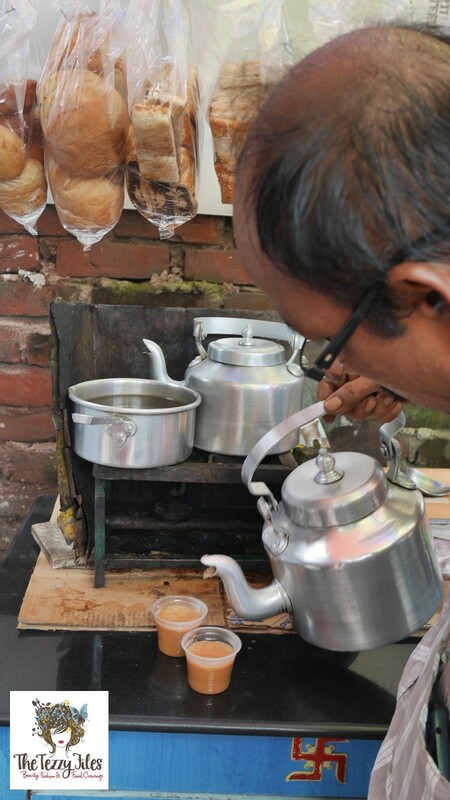 And if you are a tea fiend, you will be delighted to find little tea stalls every few steps you walk! Assam, after all, has built a reputation for its fine teas. Posted in Holidays, Places, Restaurants and tagged assam, assamese, Assamese Cuisine, Assamese Food, Brown Creams Guwahati Review, Chung Fa Guwahati Review, Dubai blogger, Food, Food and Travel Blog, Gold Finch Guwahati Review, india, India Travel Diaries, North East India, Paradise Guwahati Review, travel. Bookmark the permalink.